And then you forget the name of a fancy equipment you are out to buy at a shop and end up giving lucid description of what you want. Just missing the name. A note on your phone could have saved you. There is an app called Evernote for iPhones and Android phones, that enables you to do just that. And in a very organised way. Android was an alien word for me till recently and apps sounded like alien gear waiting to kill me. Yes, I am serious. 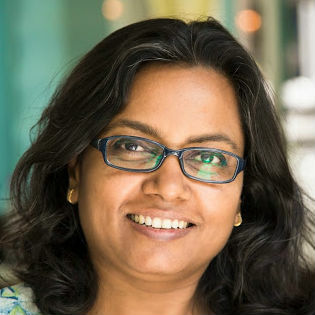 And when Karan Bhujbal invited all of us at Blogger's Table for an event with Evernote, I was stumped at the idea and said this is not something I would ever be interested. This old woman who is scared of all technology of the software kind. The fellow blogger friends were all very enthusiastic and I decided to join in. In the mean time I got a new Android phone (Samsung Galaxy Note) sent to me by Masterchef Australia and Star world team as an appreciation gesture for writing this article for them. And an Android app was not that scary after that. We were all invited to Dum Affairs for an informal lunch with Mr. Troy Malone, General Manager, Asia Pacific, Evernote Corporation to showcase 'How the Evernote food app can be used to remember the food and meals you love'. I remember laughing out loud at this description of the event as well. I mean do I need an app to remember what food I love? No way. 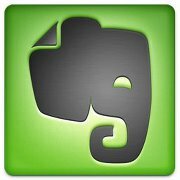 I realised later, there is more to Evernote than just this food app, which is free for all and you can jump in to join. Even this free food app by Evernote makes you capable to click hand written recipes and catalogue in an appropriate folder. Think about all the hand written journals, you can click a picture of every page, catalogue and later enlarge the picture and refer to when required.Or a picture of a new kind of food you would want to remember how it looks and make notes about it taste right then and catalogue in another file. Or take a picture of a nice presentation or plating and type in a description so it can be used for motivation later and you would remember whom to give credit when you decide to replicate something. Like I would definitely try to replicate this Three cheese stuffed Guchhi (Kashmiri Morels) cooked in a nut based gravy. Something you would like o try at Dum Affairs. There will always be a few things you would click for posterity, a not added to the picture would feel like our parents used to do on those black and white pictures neatly scrap booked with appropriate notes. Troy explained how exiting it is to be able to record your child's' first walk, her first words or the first Rhyme she recites. Without those bulky handycams that is. The Android phones are such good at taking pictures and recording sounds, they must be used to it's full caliber. Evernote also enables you to record and catalogue snippets of interest. I asked troy why a head of an Elephant is the logo of Evernote. I was thinking of an India connection but he said it denotes the extraordinary memory that an Elephant has.. Evernote is the same memory in your gadget, available at your fingertip. Your phone can be like this head of an Elephant. Deeba Rajpal , Parul Shirazi, Rekha Kakkar, Sushmita Sarkar, Rituparna Mukerji, Prerna Malik and Ruchira Philip Hoon were the other blogger friends who attended this meet. The food at Dum Affairs was fairly good. The Galawati kabab in the kabab paltter was quite nice. Zard Gilafi Murgh was ordinary. I liked the Awadhi Haleem very much. Delicate flavors just like Awadhi cuisine does, the fresh condiments as a topping mke it quite delectable. Chef Vikas Mudgal personally added the garnish over this serving of Haleem on our individual plates and I stopped eating for a while to click this picture. What I would recommend at Dum Affairs is this Haleem, the three cheese stuffed Guchhi if you are in awe of the Kashmiri Morels and the Galawati kabab if you can't go to Lucknow to have better. Desserts were great too and I really missed taking a picture of that Jaggery and Fennel Firni with added notes .Something I would like to replicate and give credit to Chef Vikas Mudgal. I am definitely going to use this app to click pictures of the interesting things when I go for invited reviews or visit other places like a foodies heaven Lucknow or a street foodies' city Banaras with my husband and decide to share it on the blog. Take pictures and add notes to it so half of my story is ready while I am experiencing it. Nothing would be better than that. I was thinking how Evernote can be used for health conscious people like me as well. And for my clients too. If you wish to keep a track of what food groups you are advised to eat and what to avoid, you can make a document of that and add to your notes to refer whenever you need. I feel it's important as I have experienced that many of my clients forget every time they have to eat out and keep asking almost the same questions. I understand every one doesn't have an in depth knowledge of the ingredients and recipes, so if one makes a document about say Thai cuisine and what all is allowed if one is at a Thai restaurant, Evernote can make your choices easy and clever. Same stands true for workout regimes. If you want to work out on different body parts every day, just catalogue shoulder workouts suitable for you and in another folder abdominal muscles , arms and lower body in another and so on. No one wants repetitive boring routine so a variety of options available at your fingertip might well be useful. And if you felt discomfort while dong a particular exercise, you can add a note to the page that would remind you not to repeat the same. Organising your life will be much more easy with it. I told you I am a convert. Note that Evernote food is a free app. Other features of Evernote enable you to do much more, see how this establishment organise their work. Can we use an app to track our food and health goals? I love all that information. There is so much more to explore in evernote.